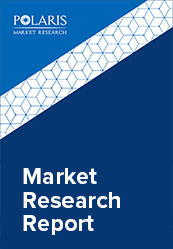 The global specialty polyamides market is anticipated to grow at a CAGR of 5.9% between 2018 and 2026. Increasing demand from several end-use industries is the major factors for the Specialty Polyamides Market growth. Polyamide fibers, product based engineering plastics, processing polyamide designed for films are some of the primary applications of these specialty fine chemicals. In the recent industry space, the use of PA6 in engineering plastics, films and fibers has outstripped another polyamide PA66 which is also used in engineering plastics and fibers. These products represented a share of approximately 7% of the overall worldwide production of synthetic fibers. The Specialty Polyamides Market is facing strong competition from the polyesters in several applications segments. Nonetheless, owing to the excellent qualities these products still play an important role in several demanding applications. These products are industrial filament, textile filament, and even carpet filament. The list of major consumers of specialty polyamides is larger including decorative fabrics, underwear technical textiles, fabrics for apparel, floor covering, upholstery, hoses, carpets, safety belts, tire cords, airbags, ropes, sewing threads, nets, ropes, sleeping bags, tents, tarpaulins etc. Production has increased in the past five years to keep pace of demand and supply scenario. In 2014, global production was 4.55 million tons, which was an increase of 4.6% from the previous year. China has the world’s largest producer for the past five years followed by the U.S. and few countries in the European Union. The end-use markets of these products experience significant dynamics depending o the geography where it’s used. Such as in the Asia Pacific region industrial yarns and textile dominated the regional demand, whereas in the European countries and the U.S. technical textiles and carpet yarns lead polyamide demand. The specialty polyamides market is segmented based on its end-use industries and the regional markets. The end-use segment is further segmented into transportation, energy, consumer goods, industrial coatings, electronics and other applications. In the packing business which basically encompasses every application segment, specialty polyamides are mainly used in the form of films. Single films of polyamides are losing market shares to multilayer transparent films combined with other polymeric film with polypropylene, polyethylene or poly vinyl alcohol. Consumer goods are and food packaging are the dominant segment in this regard. Specialty polyamide resins have also significant applications in the buildings. It is used in door handles handrails and pins, UV-resistant, and weatherproof fastening elements are among the others. Photovoltaics are new avenues of application for these products. Many grades of specialty polyamides have been approved for its use in manufacturing of photovoltaic modules. Asia Pacific Specialty Polyamides Market was the leading regional industry in 2017 in terms of production and even consumption. China is the leading manufacturer in the world with an annual increase in production of 215 thousand tons in 2017. It is the world’s largest manufacturer with a share of approximately 51% of global production. The U.S. 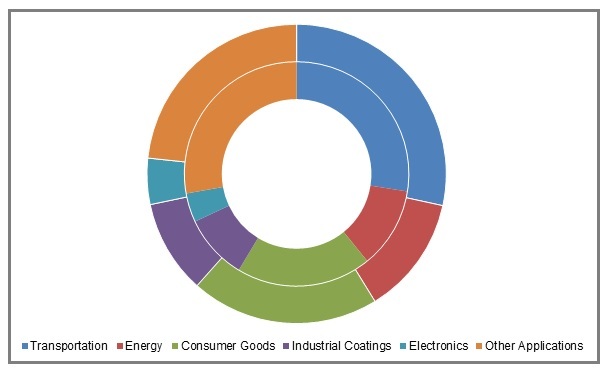 Specialty Polyamides Market is the second largest producer, but the country’s annual production is significantly lower compared to that of China i.e. 571 thousand tons, followed by Taiwan 358 thousand tons, and fourth is the Western European countries that accounted for 252 thousand tons.